On August 22, Chinese government exempted the Botswana government from about $7.5 million in loan payments to lessen Botswana’s debt burden. The loans were extended to finance Botswana’s railway rehabilitation project and multi-purpose youth center construction project. Earlier this year, China reportedly agreed to cancel part of Cameroon’s debt and agreed to reschedule payments coming due from Zambia. This trend is worth watching. "The Belt and Road Initiative is an economic cooperation initiative, not a geopolitical or military alliance." "You don’t want a situation where there’s a new version of colonialism happening because poor countries are unable to compete with rich countries in terms of just open, free trade." "There are indeed some Chinese companies that have become too focused on chasing profits. With all the talk about neocolonialism, China needs to prevent itself from repeating the same mistakes made by the West in the past." "Connecting Jordan to the Chinese Silk Road project is of immense importance to the Jordanian economy...Even if the ministry does not seek to connect Jordan’s railroads to the Chinese Silk Road, I would personally demand it." 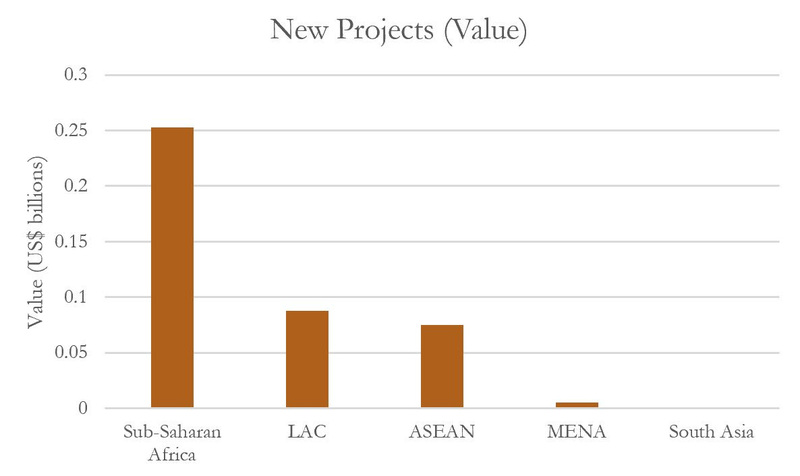 "Chinese preferential loans are only suitable for projects with direct source of income and repayment capacity." August 17-19: The 2018 Mongolia-China-Russia Economic and Trade Cooperation forum took place in Inner Mongolia, where companies belonging to the Mongolian National Chamber of Commerce and Industry signedagreements with Russian and Chinese companies valued at about $1.3 billion. A roundtable discussion on the establishment of joint zones along Mongolia’s Russian and Chinese borders took place.August 21: Australia’s Greenland Minerals and Energy signed an offtake MoU with China’s Shenghe Resources to commercialize the Kvanefjeld rare earths project in southern Greenland. The companies plan to sign a binding agreement in the next three months on taking steps to bring rare earth products to market. Shenghe owns a 12.5% stake in Greenland Minerals.August 24: China and Mongolia signed an MoU commemorating the 70th anniversary of diplomatic relations and announced plans to begin a joint feasibility study of a free trade agreement (FTA) in September. The two sides also agreed to cooperate in the Zamyn Uud-Erenhot zones and increase Chinese investment by aligning the Belt and Road Initiative with the Development Road Program of Mongolia.August 26: China Railway First Group rejected compensation claims by locals in Namada, Fiji after marine life suffered severe damage. Locals claim that pipes used to dredge the Sigatoka river last year were found grounded on reefs after a recent storm, but China Railway claims the damage was caused by natural disaster and denies responsibility. China Railway had initially indicated a willingness to pay compensation, but retracted that offer. August 20: Malaysia’s Securities Commission and China’s Ministry of Finance signed an MoU to cooperate on cross-border regulation on accounting and auditing.August 21: A Singapore-Zhejiang Economic and Trade Council (SZETC) Roundtable was held in Singapore, where five MoUs were signed. 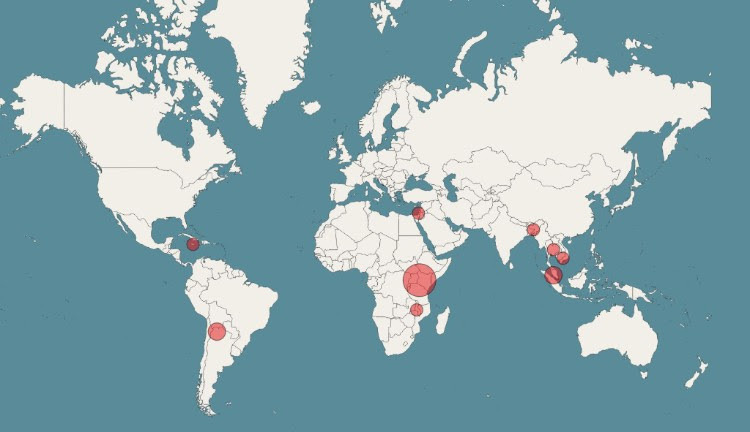 Areas covered by the agreements include trade, logistics, and policy cooperation.August 22: China Construction (South Pacific) Development Company wasawarded a $75.38 million Mercu office building project at Kuala Lumpur Eco City in Malaysia. Development and construction are expected to take 36 months.August 22-24: Chinese and Philippine officials met in Beijing to discussimplementation of Duterte’s “Build, Build, Build” infrastructure initiative with Chinese financial assistance. 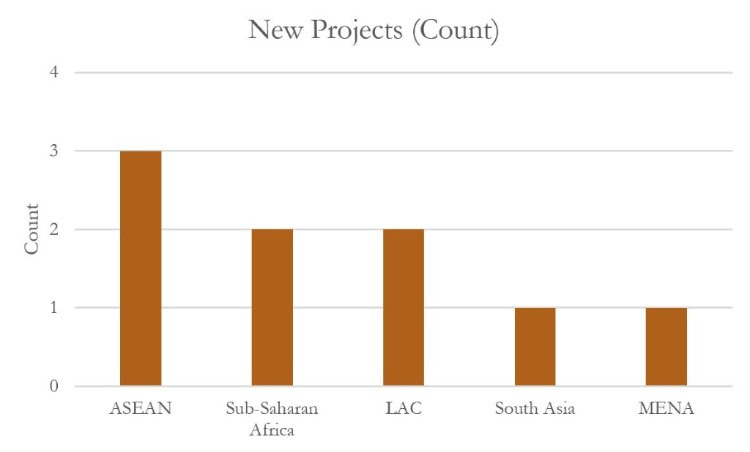 The first set of projects financed through Chinese loans include the Chico river pump irrigation project, the Kaliwa dam project, and the Philippine National Railways South Long Haul project. Projects financed through Chinese grants include the Binondo-Intramuros and Estrella-Pantaleon bridges. 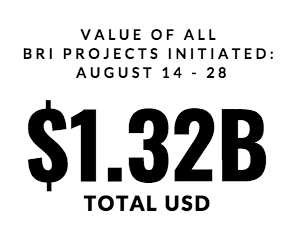 The second set of projects include the Subic-Clark railway project, Ambal-Simuay river and Rio Grande de Mindanao river flood control projects, and the Agus-Pulangi hydroelectric power plants rehabilitation project. The two sides agreed to “fast-track” the projects, which may include the Agus-Pulangi project and are considering conducting a feasibility study on the Panay-Guimaras-Negros Inter-Island bridges project.August 23: Myanmar’s Kachin National Congress party released a statement calling for transparency in the Myitkyina industrial zone project. In particular, the party wants to be sure China’s Hein Yon Investment Company releases details of its agreement to the public. Hein Yon Investment is currently negotiating an MoU with Kachin State Economic Development Public Company Limited to finance and develop the $273 million project. An MoU is already in place between the Chinese and Kachin state governments.August 23: Sinohydro Corporation signed an engineering-procurement-construction (EPC) contract with Thailand’s TRC Construction and the ASEAN Potash Chaiyaphum Company (APOT) for the ASEAN potash mining project’s processing plants, pipelines, and supporting facilities in the Bamnet Narong District of Chaiyaphum, Thailand. Sinohydro was selected on the advice of the Industrial and Commercial Bank of China (Thai).August 24: China’s JinkoSolar Holding signed a 240MW solar module supply agreement with PowerChina Huadong Engineering Corporation for the second phase of the 420MW Dau Tieng solar project in Vietnam, being developed by Vietnam’s Xuan Cau Company and Thailand’s B.Grimm Power Public Company. PowerChina Huadong is the project’s engineering-procurement-construction (EPC) contractor.August 24-25: The 2018 China-Thailand Economic and Trade Cooperation Forum took place in Bangkok, hosted by the China International Chamber of Commerce and the government of Thailand. 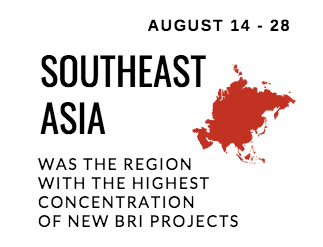 The forum focused on connectingthe Belt and Road Initiative with the Eastern Economic Corridor to develop infrastructure in Thailand. Following his attendance at the forum, CHEC Chairman Liu Qitao visited Thailand’s Laem Chabang port to inspect the D-series terminal currently under construction by China Harbour (Thailand).August 26-29: The Tianxia Chaoshang Economic Conference investment delegation, representing 35 Chinese companies across a range of industries, arrived in Cambodia to learn about investment opportunities, incentives, and policies. The delegation was led by the chairman of Mingyuan Group Investment Limited.August 28: Indonesia’s Investment Coordination Agency (BKPM) and the Indonesian Consulate General in Guangzhou hosted a market sounding event in Guangzhou, where Indonesia offered infrastructure projects valued at up to $13.2 billion to potential Chinese investors including CCCC Industrial Investment Holding, China Energy Guangdong Electric Power Design Institute Company, and China Southern Power Grid Company. The project portfolio includes power plants and toll roads. August 22: China Energy Engineering Group Science and Technology Development Company was awarded an operation, maintenance and training contract by Shanghai Electric Power Company for the Sylhet combined cycle power plant expansion project in Bangladesh. Once complete, the plant will increase in capacity from 150MW to 225MW.August 22: Nepal created a seven-member team chaired by an official from the Ministry of Energy, Water Resources and Irrigation and comprised of representatives from the Ministry of foreign Affairs, Department of Electricity Development, and Nepal Electricity Authority to represent the country in a Nepal-China joint steering committee on energy cooperation. The committee will facilitate government and private energy investments.August 24: China and Nepal agreed on details of a technical study for the $2.3 billion Kathmandu-Kerung railway line that was conducted by China Railway First Survey and Design Institute. A Chinese team plans to visit Nepal in November to discuss and begin preparing a detailed project report, which is expected to take a year and a half to complete.August 27: China Railway Engineering Corporation (CREC)’s reconstruction project in Jaffna, Sri Lanka was halted after the Tamil residents demandedtraditional brick houses instead of the intended concrete houses. CREC had been awarded the $300 million contract in April, and the project was to be financed by the Export-Import Bank of China. The Tamil National Alliance has begun discussing working instead with an Indian company. August 16: China’s Fosun International and its financial services platform Fosun Hani Securities invested $5 million in Israeli financial technology hub, The Floor. The Floor is headquartered at the Tel Aviv Stock Exchange and provides communal working spaces, a research and development center, and potential bank partnerships to fintech startups in Israel with the support of institutions such as Banco Santander, HSBC, and Intesa Sanpaolo. Intel Corporation is also a backer of The Floor. Fosun will join the board of directors.August 20: France’s Total officially ended its agreement to develop phase 11 of the South Pars gas field in Iran due to U.S. sanctions, allowing its partner China National Petroleum Corporation to potentially step in and take over.August 26: Jordan’s Ministry of Transport is preparing to sign an agreement with China’s Touchstone Capital Consortium Group to develop the national railway on either a build-operate-transfer (BOT) or build-own-operate-transfer (BOOT) basis. The national railway project was initially launched in 2015 before it was derailed by financing constraints. Touchstone, which is comprised of 15 Chinese state-owned-enterprises and 15 private companies/financial institutions, manages a One Belt One Road Fundestablished last November with an initial investment of $10 billion. August 17: The 2018 China International Import Expo (CIIE) in Shanghai event opened in Johannesburg, South Africa to promote the CIIE taking place in Shanghai in November. The event was organized by China Dream Investment, South Africa’s Shanghai Federation of Industry and Commerce, Shanghai Overseas Chinese Federation, Shanghai Jing’an District Hailian Association, and Yiwu City Council for the Promotion of International Trade.August 17: The 2018 Forum on China-Nigeria Production and Investment Cooperation was held in Abuja by the Nigeria-China Relations Committee of Nigeria’s House of Representatives. An exhibition took place at the forum, where 20 Chinese companies met with potential Nigerian partners.August 22: Malawian President Peter Mutharika commissioned the Access to Satellite TV project, which will connect select households in 500 rural villages to satellite television for free. The project is financed by the Chinese government and will be implemented by Chinese media company StarTimes Group.August 22: The Chinese government exempted the Botswana government from about $7.5 million in loan payments to lessen Botswana’s debt burden. The loans were extended to finance Botswana’s railway rehabilitation project and multi-purpose youth center construction project.August 23: A consortium led by China Wu Yi Company, comprised of China Dalian International Economic and Technical Cooperative Group, China Railway No. 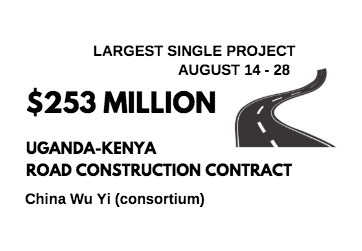 5 Engineering Group Company, Zhejiang Bayong Highway Engineering Company, and China New Era Group, was awarded a 150-km road project connecting Kapchorwa, Uganda and Leseru, Kenya. The project is valued at $253 million and will be financed primarily through loans by the African Development Bank and the African Development Fund.August 25: Sinohydro Group began laying the groundwork to undertake due diligence assessments of bauxite mining prospects in Ghana’s Atewa forest reserve. Ghana’s parliament approved an MoU at the end of June for Sinohydro to provide Ghana with $2 billion in infrastructure, including roads, bridges, housing, and electrification, in exchange for bauxite mining rights in the Atewa and Nyinahin forest reserves. Ghanian President Nana Akufo-Addo is expected to finalize the agreement in the coming weeks, which has been characterized by Ghana’s government as a “barter deal,” but criticized by the political opposition as a loan with debt burden implications.August 27: The Minister of Investment of Somalia’s self-governing region of Somaliland, Mohamed Ahmed Mohamoud, signed an MoU to receive investment in Somaliland’s tourism industry from China’s Maxtor Bank. The $1 billion investment is earmarked for building a wildlife center, university, supermarkets, hotels, and other projects. The Somaliland Chronicle has found, however, that Maxtor Bank is not recorded on any official Chinese registry and appears nonexistent.August 28: China International Water and Electric Corporation (CWE) askedUganda Electricity Generation Company for an extension of time to complete construction of the 183MW Isimba hydropower plant in Kayunga district. CWE is waiting on access road design approvals required for completion. The project is primarily financed using a $568 million loan from the Export-Import Bank of China with an additional $100 million from the Ugandan government. 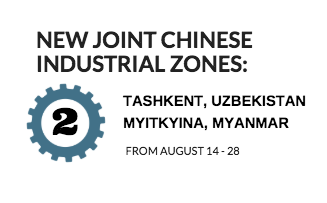 August 22: Uzbekistan signed several memorandums with Chinese companies during an international business forum held in Tashkent, includingagreements to establish an industrial zone in the region and to create textile and agricultural industry clusters.August 24: Kazakhstan’s national railway company Kazakhstan Temir Zholy (KTZ) met with the Sichuan Provincial Party of the Communist Party of China to discuss transport and logistics infrastructure cooperation. The two sides are considering establishing a joint representative KTZ office in Chengdu.August 24: The 2018 Chengdu-Russia Economic and Trade Cooperation Promotion Conference was held in Moscow, where the two sides signed project agreements valued at over $1.1 billion. The seven projects are in a range of sectors including biomedicine, infrastructure, and digital information. A “Silk Road on the Cloud” cross-border e-commerce exhibition took place at the conference, highlighting the China Rail Chengdu-Europe Express rollout. August 21: State Grid Corporation of China signed an MoU with Germantechnology association VDE on smart energy and smart mobility cooperation. The two sides are interested in renewable energy and storage, as well as digital technologies.August 21: Air Canada began a partnership with China’s Alipay and WeChat Pay, allowing customers in Canada, Hong Kong, and the United States to book flights using the mobile and online payment platforms. This is the first North American airline to integrate Alipay and WeChat Pay as alternative methods of payment. August 23: Canadian marketing and analytics company Aislelabs Inc. signed an MoU with Huawei Technologies on forming a partnership to “glean demographic and location-based data in key industries” by integrating Aislelabs’ cloud-based guest WiFi and analytics with Huawei’s hardware and infrastructure. Aislelabs technology is used in airports, shopping centers, restaurants, and other venues across Europe, North America, and Asia. August 14: China’s Ganfeng Lithium Company acquired a 37.5% stake in the Cauchari-Olaroz brine project in Jujuy, Argentina for $87.5 million and plans to extend a $100 million loan for project development. Ganfeng Lithium also signed an agreement with Canada’s Lithium Americas to explore joint development of lithium resources in North and South America.August 22: China Harbour Engineering Company (CHEC) commissioned a new roadway at the Bermaddy Primary School in St. Catherine, Jamaica. The company considers the project to be a gift to the community where the North-South highway is being built.August 26-28: A Peruvian delegation representing various sectors arrived in Beijing to present infrastructure and connectivity development proposals, including mining and energy projects.August 27: Speaker of the Legislative Assembly and leader of the CaymanDemocratic Party (CDP), McKeeva Bush, denied involvement with CHEC or any Chinese company through his firm, WMB International Consulting. In his former role as premier, Bush was criticized for his decision to cancel ongoing George Town port negotiations with American developer GLF Construction Corporation to pursue a less competitive deal with CHEC. At the time, CHEC had been debarred by the World Bank (due it being a subsidiary of the debarred China Communications Construction Company). Recently released documents, however, indicate that Bush had served as a consultant for Chinese company Sinopharm and facilitated business contacts for CHEC in Belize.August 27: The Nueva Fuerabamba community in Peru will continue to protestthe local unit of China Minmetals Corporation, MMG, which operates the Las Bambas copper mine. Protestors claim that MMG illegally built a highway on community farmland to transport copper from Las Bambas to Matarani port. They seek compensation from the Peruvian government.